Here’s a look at MSR Houston from this week, a road course south of the city that has hosted most of the 24 Hours of Lemons races I’ve done. Much of it is underwater. While getting to the track is one of the lowest priorities right now—far below making sure everyone in the area is safe and has access to basic needs—this is yet another example of how bad the flooding is in southeast Texas. 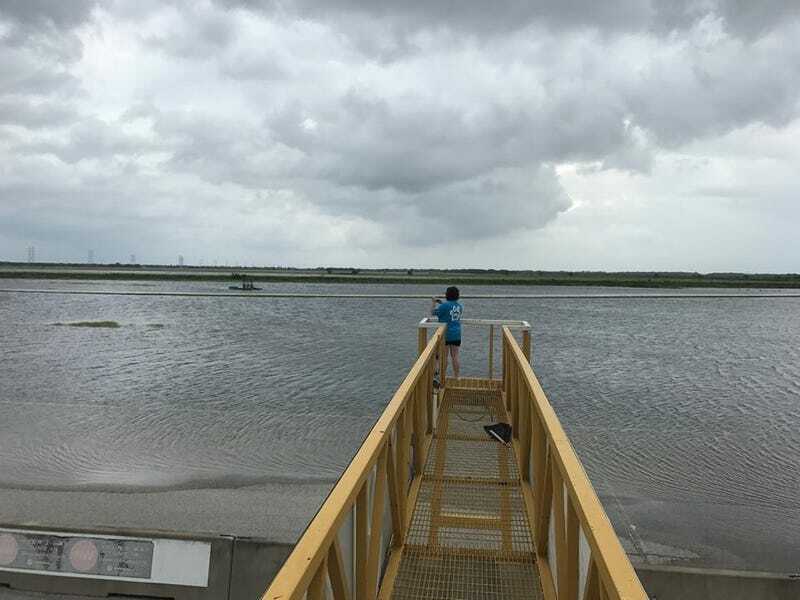 As you can see from this view from the start/finish tower at MSR Houston, the land around it is very flat with few true low spots to fill up in the event of a major flood. First and foremost, we hope that you and your family are safe. We surveyed the track again yesterday evening, and we have made the decision to close the facility until further notice due to flood waters. Please be aware that water has not made it in to any of the main garage buildings. The trailer lot is now an extension of the front lake. Parts of the road course and karting track are under multiple inches of water as well. At this point in time, it is not safe to allow anyone access to the facility. We will continue to monitor the situation as much as possible and will update you with any developments as they become available. For now, the track remains closed. Should you want to donate to relief efforts, the Houston Chronicle has an extensive list of charities who are working in the area to provide help for storm victims, and Lifehacker has a few solid guidelines on how to avoid charity-related scams. UPDATE: They are back in business as of Monday!